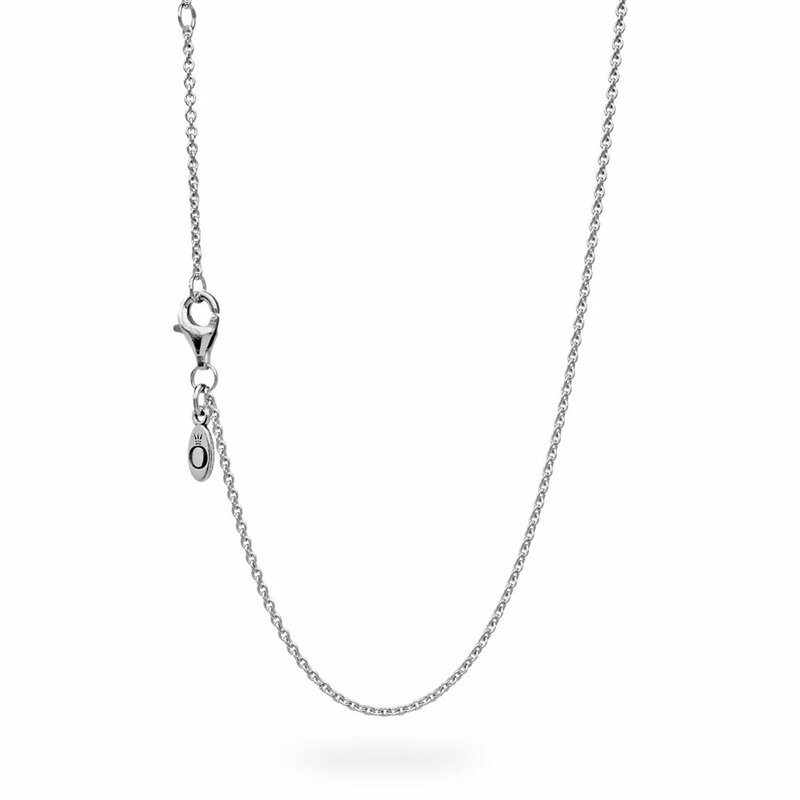 This classic collier length sterling silver necklace is the perfect backdrop for showcasing PANDORA's delicate pendants and dangles. The necklace is fully adjustable and can be easily changed from 45 cm to 43 cm or 38 cm. Silver Chain Necklace (adjustable) - PANDORA is rated 4.8 out of 5 by 29. Rated 4 out of 5 by OmBaby from Beautiful Chain Perfect for wearing your charms. Just wish it was a full 18 inches as it would be more useful even with my skinny neck. It looked smaller and thinner to me in person that it did online. I would love it if Pandora would show their jewelry on models as well so that I can get an idea of actual size. Rated 5 out of 5 by Roni1 from Nice long length What I like most about this chain is that it can be worn at 2 different lengths! Rated 5 out of 5 by Voo Bauer from Just what I needed! I absolutely love my chain and so useful for different length. Rated 5 out of 5 by GGsLife from Perfect Fit I bought this Sterling Silver Necklace along with a pendant for my daughter's birthday. She loves it! It fits perfectly and really showcases the pendant. Rated 5 out of 5 by Sandy222 from Necklace charm I just love my necklace and my charm to go with my pandora bracelets !!! I will be buying more in the future !!!! Rated 5 out of 5 by Sabrina997 from Perfect I bought this because I had lost a chain to a cross necklace I had bought in a different jewelry store and because it is a cross I didn't want the chain to be too long but it fits perfectly and you can also adjust it to where you want it.